Tortoises are highly prized by reptile fans. They are extremely responsive, quickly recognizing those who feed them, and readily learn from experience. Unfortunately, new owners are often unaware of their very specific care requirements, and many fail to thrive. Given the precarious state of their wild populations, it is unethical to keep these amazing animals unless you are fully prepared to meet their needs. Please write in for further guidance. The Bronx Zoo’s collection was very “tortoise/turtle oriented” during my tenure, and I had the good fortune to work with dozens of species both there and in the field. From rare Flat-Tailed (Pyxis planicauda) and tiny Egyptian Tortoises (Testudo kleinmanni) to 500 pound Aldabra and Galapagos Tortoises, each brought challenges and new lessons. Hopefully, what I’ve learned will be of benefit to other keepers, and to the spectacular animals in which they are interested. The following information can be applied to the care of a variety of species. However, details will vary; please write in for information on individual species. Fifty-three tortoise species roam the grasslands, deserts and tropical forests of Africa (where they reach their greatest diversity) North and South America, Europe, and Asia. All tortoises live on land and feed mainly on vegetation. They range in size from the 4-inch-long Speckled Padloper (Homopus signatus) to the 500+ pound Aldabra and Galapagos Tortoises. Tortoises need far more room than most folks imagine. Only the smallest, such as Spectacled and Russian Tortoises, can be accommodated in commercial cages. Adults generally do best in enclosures that have been constructed with their needs in mind. Glass aquariums are unsuitable (please see this article). Respiratory problems may develop due to insufficient ventilation, and space will usually be a concern. Also, aquariums rarely allow for the establishment of a thermal gradient. Thermal gradients, critical to good health, allow tortoises to regulate their body temperature by moving between hot and cooler areas. Outdoor maintenance is possible in suitable climates. Please write in for details. Plastic-based rabbit cages are preferable to aquariums, but most tortoises will outgrow these in time. Cattle troughs can also be modified as tortoise homes. This Table Top Tortoise Terrarium is an ideal enclosure for many species. The Zoo Med Tortoise Home can be expanded with additional units, and is well-worth investigating. “Playground” sand is suitable for Radiated, Leopard and other tortoises native to arid environments. An equal amount of sand and topsoil can be used for Yellow-Footed Tortoises and other forest dwellers. Although impactions due to swallowed sand and soil are rare, it is best to provide food in large bowls so that ingestion is limited. The substrate should be deep enough to allow your tortoise to dig a shallow pallet (sleeping depression) at night. Dry grass clumps can also be provided as shelter. Tortoises need daily exposure to high levels of UVB light. Natural sunlight is best, but be aware that glass and plastic filter out UVB rays, and that fatal overheating can occur very quickly. Use a high-output UVB bulb (the Zoo Med 10.0 Bulb is ideal), and position the basking site within 6-12 inches of it.Mercury vapor and halogen bulbs broadcast UVB over greater distances, and provide beneficial UVA radiation as well. Most tortoises require a basking site of 90-95 F, but must be able to move into cooler areas (75-88 F) as well. Incandescent heat bulbs should be used to maintain these temperatures; red/black night bulbs or ceramic heater-emitters work well after dark. Desert and grassland tortoises develop health problems in damp enclosures, but low humidity has been associated with growth abnormalities in several species. Please write in for details. Travancore Tortoises and other forest-dwellers need access to moist and dry areas. Females and youngsters often co-exist, but must be watched as dominance hierarchies will develop. Males will fight, and often harass females with near-constant mating attempts. A great deal of conflicting information has been published on the subject of nutrition, and confusion concerning this critical aspect of tortoise husbandry is common. Unfortunately, small dietary mistakes will translate into major health concerns in short order. 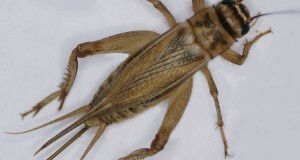 Grassland and desert species (i.e. Russian, Greek, Spurred and Pancake Tortoises) have evolved to consume a diet that is high in fiber and calcium and low in protein, fruit and fat. In the wild, grasses and herbaceous plants are their primary foods. Beans, dog food and other protein sources should be avoided, and fruit limited to an occasional treat. Honeysuckle, dandelion, clover and other native grasses, weeds and flowers can make up the bulk of the diet when available; please see this article http://blogs.thatpetplace.com/thatreptileblog/2009/07/29/tortoise-diets-mediterranean-species-and-russian-horsfield%E2%80%99s-tortoises/ for further information.The balance may consist of greens such as kale, endive, Swiss chard and romaine; avoid spinach and iceberg lettuce. 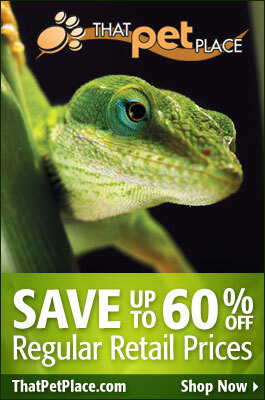 Zoo Med’s Grassland Tortoise Diet http://www.thatpetplace.com/natural-grassland-tortoise-food may be added to salads. Hay (but not Timothy) should be provided to Spurred and Leopard Tortoises. Rainforest natives, such as African Hinge-backed, Yellow and Red-Footed Tortoises, require a diet rich in a wide variety of leafy greens, fruits, and vegetables. A small weekly meal of moist cat food, along with canned http://www.thatpetplace.com/pet-supplies-search#!Reptile-Supplies/reptile-food&ea_c=feeder-insects or live snails, earthworms and super mealworms, will satisfy their protein requirements. The calcium requirements of all tortoises appear to be quite high. Food should be powdered with Zoo Med ReptiCalcium with D3 or a similar product. A Vitamin/mineral supplement such as Reptivite with D3 should be used 2-3 times weekly. Water should be available, but damp conditions present a health hazard. A twice-weekly 15 minute soak should be provided if water bowls are routinely tipped, or if your tortoises seem not to be drinking regularly. High protein diets have been associated with “pyramiding” and other growth deformities in several species. Adults can be fed 5-7 times weekly, juveniles daily. I have a large red ear slider that we’ve had for approx. 3 years. We took her in to help a neighbor, and had no idea what we were in for! We have upgraded the turtle’s habitat numerous times and have done all we can to keep her healthy and happy. We are just simply out of space! This turtle (7 to 8″ long shell) needs a pool or a pond, not a 60 gallon aquarium. Tank maintenance has become a real chore. I feel its unfair to the animal to keep her! Do you have any connections for finding her a happy home? Is the store interested in having her? Thanks for your time and consideration. Please let me know where you are located; I’ll try to refer you to a rescue or adoption facility. We are in Blue Ball, in Eastern Lancaster County. Hello Frank,i hope you will still reply even though 5 months have paced since the last comment,i will be most gratefull if you do (and the tortoise will be gratefull too)! About 3-4 months ago my family bought a tortoise. Woman selling it said it is a portoguese tortoise,and that it does not hibernate. However,on the Internet i didn`t find such species, and my tortoise looks a lot like the Hermans tortoise (it also maches with my tortoises natural habitat,as i live on Balkans). My tortoise is still a juvenille,she is around 5-6 months old. 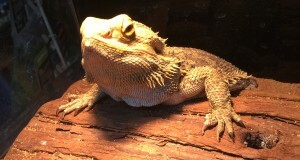 We feed her regulary (dandelion leafs,”BioRept medium stick” and occasional fruit),and also bath her regulary. Two or three times a week we let her walk in our garden,because of her sun need. However, a few weeks ago her left eye closed. We tried moisturizing it with cooled tea (as our salesman adviced as),but it only helped for a short time. I became aware that our tortoise needs a terrarium when I read your article,and i am already working on making one as seen here http://www.tortoisetrust.org/articles/Tortoisetable.htm. 1. Do you know how to fix my tortoise’s eye problem? Is it conected with her diet or not enough UVB ligh? 2. Do you know is there such a thing as portoguese tortoise? If not,how should i prepare my tortoise for the hibernation? I will be enormously gratefull if you can answer me. I tried finding some help here,but our salesman doesn’t seem to know much about it. Please help! Thanks for your interest. There is no “Portuguese Tortoise”, but stores/people make up common names regularly. Dandelion is a good food source, but you’ll need to add a great deal more variety. This article on feeding tortoises may be more relevant to European keepers in terms of food recommended, availability. The section on Mediterranean tortoises would apply to a Hermann’s. Some will remain active year-round if kept warm; this is the best option, as hibernating captives is risky; if the tortoise does slow down even when warm, pl be in touch. Normal household temperatures are far too low; please let me know if you need more info. UVB exposure is important year round – a UVB bulb is essential unless it gets regular unfiltered sunlight. Saline solution as is used for contact lens care (straight saline, not cleaning/disinfection solutions) or boric acid in the concentration used for human eye washes can be used to relieve irritation caused by trauma, and to wash out debris that might be lodged in the eye. However, a shut eye can be caused by a wide variety of problems, including bacterial infections. No way to be sure without a vet exam. Certain vets that handle other pets may be able to help; Tortoise Trust is based in the UK and may be able to refer you to specialists in your region. Thank you very much for your answer! I appreciate it very much! I read the article about feeding,and will make sure to expand my tortoise’s diet in variety,we have a garden so i don’t think it will be a problem. I do have questions regarding the heat bulbs. I found a site selling them in my country,but there is a variety to choose from; there are heat cables,and heat lamps. Heat lamps are different,some have 60W,some 50W. Also here are displayed the UVB lamps, but there is also a difference with the amount of W (130W and 20W). Here is the actual site http://www.aquabazar.rs/shop/shop/catalog/oprema/grejaci/10. It’s in Serbian,but the names of the product are in English,and the amount of Watts is displayed. What would you recommend? The Thermo ceramic is a heat emitter that provides heat without light. Useful at night, as it does not disturb tortoise’s dark/light cycle. Night temps need not be as warm as day, so might be an option. The Sun Heat Sera bulbs provide heat by day. Whether you’ll need a 50 or 130 watt depends on house temperatures, and how close it will be to the basking site. You can get a general idea by experimenting with regular incandescent bulbs of the same wattage…the reptile bulbs will generate a bit more heat, as beam in more concentrated, but will be in general range. Make sure you put bulbs in proper reflector/outlet, as some generate quite a bit of heat. I usually use ceramic based reflectors; check with an electrician if you are not sure. For UVB, the Desert compact 20 W UVB 10% would be best. I’m not sure what the 10% means, in terms of usable UVB, but the bulb is likely similar to other “desert UVB” bulbs, designed for use with reptiles that have high UVB requirements. Keep it within 6-12 inches of the tortoise, as output drops after that. Put it near the heat lamp if possible, to assure exposure. If the enclosure does not let you get the UVB close to the tortoise you use a shallow enclosure at night. The UVB (and ceramic heater, if needed) will not disturb the tortoise, and it will move around less at night, not try to escape. Or you can do this in day, if that works better.